Following a price cut on both the Surface RT(s msft) and Surface Pro computers, Microsoft will reportedly drop the cost of the devices’ Touch Cover from $119.99 to $79.99 on August 30. The report comes from the WP Central blog — found by way of Liliputing — which has a screen shot of the updated pricing along with the word “permanent”; indicating this won’t be a temporary sale. With the actual tablet prices dropped over the past few weeks, this brings the total cost of a base Surface RT with Touch Cover down to $430 from an initial launch price of $599 when purchased together. Windows RT still has some challenges to overcome, but it is improving, and still has potential if some aspects are addressed. Additionally, the new prices could help move more of the product. Microsoft recently took a $900 million inventory write-down to account for the recent $150 price drop on the Surface RT. Besides the reduced Surface RT cost, Microsoft also cut $100 off of the Surface Pro computer, which now starts at $799. I don’t expect Microsoft to abandon either product and these price cuts may not just be to reduce current inventory: The product line could certainly use some refreshed hardware and we could see that in October when Microsoft launches Windows 8.1. 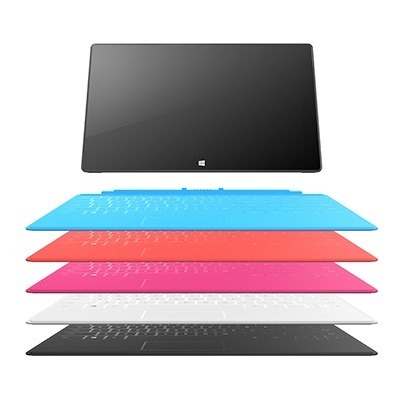 For now, however, you can save a few bucks on both the devices plus the rather useful Touch Cover and then upgrade your Surface with Windows 8.1 when it becomes available. It’s actually a shame that Microsoft may have been a tad overzealous with the initial pricing of Surface RT and the Touch Cover. I think the base prices at the product launch could have been more in line with the current ones, providing Microsoft a reasonable profit while also making the Surface RT more attractive to potential buyers. The catch-up MS needs to complete is overwhelming, Price drops won’t really do it. They would need to almost give away the hardware AND provide helpful, cordial, accessible and intelligible customer support – for a good long while. The momentum MS has as anti-user and unhelpful amongst folks who buy this stuff, is enormous. I am investing my time slowly, within the adroidscape as simply a well scared, windows immigrant -never again! US$120 for a Touch (or Type) keyboard was highway robbery! $80 is still way too much to change for a membrane keyboard.